Chelsea Green Publishing Company, 9781603587556, 224pp. 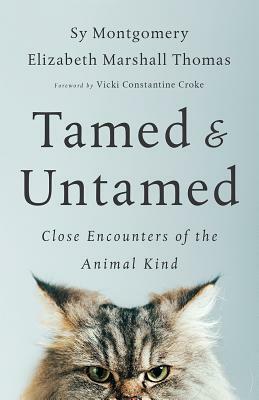 Extraordinary new insights into the minds and lives of our fellow creatures from two of the world's top animal authors, Elizabeth Marshall Thomas and Sy Montgomery. Drawing on stories of animals both wild and domestic, the two authors, also best friends, created this book to put humans back into the animal world. The more we learn about what other animals think and do, they explain, the more we understand ourselves as animals, too. Writes Montgomery, "The list of attributes once thought to be unique to our species―from using tools to waging war―is not only rapidly shrinking, but starting to sound less and less impressive when we compare them with other animals' powers." With humor, empathy, and introspection, Montgomery and Thomas look into the lives of all kinds of creatures―from man's best friend to the great white shark―and examine the ways we connect with our fellow species. Both authors have devoted their lives to sharing the animal kingdom's magic with others, and their combined wisdom is an indispensable contribution to the field of animal literature.